The smoke of 60 fires fills the sky. One teenager is dead and many others displaced. Just a few weeks ago, many of us in the area sat and watched the news, or listened to the radio, as a mystery unfolded before us. Fires sprouted up one by one, scarily close to our own towns. We watched and listened as a large scale evacuation took place only 20 miles from Hamilton-Wenham. 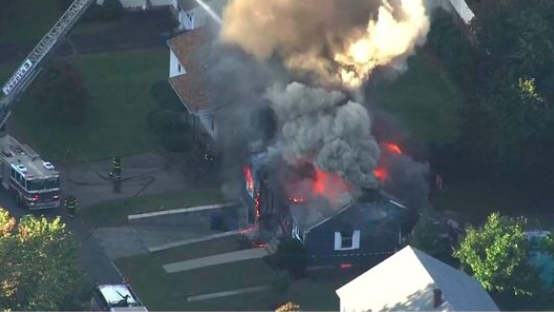 As many of you may know, on Thursday, September 13, 2018, over 60 gas fires erupted across Andover, North Andover and Lawrence, and 40 homes caught on fire. The whole North Shore was affected by the events of the 13th, and although Hamilton-Wenham is relatively far away from the danger, some of our own faculty and teachers at HWRHS were affected by the incident. Ms. Simko runs most of the singing in the school musicals. She has inspired many students to go further into music and theater. This is her third year at Hamilton-Wenham, and in her time here she has taught a wide variety of students who all adore her. We sat down recently with Ms. Simko, the Regional’s Chorus and Music Appreciation teacher, to talk to her about her experiences and what happened exactly to her on the 13th of September. She lives in Andover, and was forced to evacuate as a result of the fires. Unfortunately, Ms. Simko had to experience this disaster and the aftermath that is unfolding. “It is the biggest disaster that has stuck close to home for me… the fact that it had the potential to strike my house was very scary.” Thankfully, the fires did not hit her house because the whole neighborhood had turned off their gas. Ms. Simko was not home at the time of the fires. She was at the school during Curriculum Night, which made her more nervous because she was unable to do anything. And she had just begun to worry. Our beloved teacher has been in an awful accident and is still adjusting to life without gas service. “I really took for granted how much hot water I use… my routine has changed significantly.” We hope she and her family remain safe and we know that she will continue to inspire the students of Hamilton Wenham. We also had the chance to speak with Ms. Sette, one of our English teachers here at the high school. Ms. Sette has family in the Andover area, and they had temporarily moved in with her while things are being sorted out in their own homes. Ms. Sette has taught English classes for six years here, and she currently teaches English to freshmen, and Humanities to juniors. She is widely regarded by many of her students, past and present, as one of the nicest teachers they’ve ever had. Ms. Sette’s family are all safe and healthy, and their homes are all fine, but still, for them it was quite a scare, and they were still affected in other ways besides physically. They spent a lot of money on supplies they couldn’t take from home, and although things are fine now, they will be affected by this incident for a while. It’s not often that tragedy strikes in our area, and rarer still is it so close to us in Hamilton-Wenham. We at The General Consensus think that it’s important to realize that it could have been us, and just how close we all were to such a dramatic and engulfing event. We, as a district donated 286 dollars raised by staff at Winthrop, Buker, and Cutler as well as the students and staff of HWRHS. 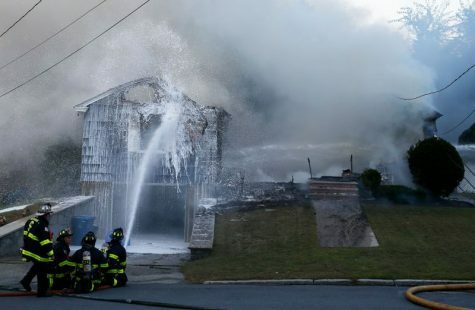 There were over 60 fires across Andover, Lawrence and North Andover, and their firefighters had a hard time putting them all out. Emergency responders from all over the area answered the call, and eventually they were able to get things back to a safe environment. However for many families in the area the ordeal is not yet over, many people have lost their homes and have nothing to return to. Leonel Rondo, just an 18, was killed in the fires. He was driving on Chickering Road when a gas fire caused a chimney to explode and hit his car. Another 25 were injured by the fires and its fallout. As of September 23rd Columbia gas has agreed to fully compensate every customer who was affected by the gas leak in Merrimack Valley.